Burbank, CA – Stepping into its 17th year, the Martial Arts History Museum in Burbank is calling for public support as they forge forward to acquire a much-needed, larger facility. 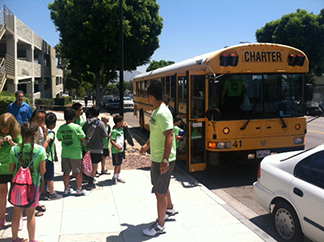 Experiencing growing pains, the current size of the museum is no longer able to support the growing requests of school tours within the Los Angeles County. Hoping to receive public support, it is their goal to acquire a nearby 14,000 square foot facility which would cost in the neighborhood of $4 million. 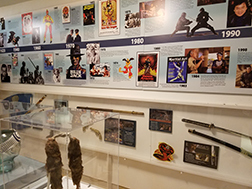 The Martial Arts History Museum, a non-profit 501(c)(3) organization which was founded by former magazine publisher Michael Matsuda in 1999, is the only cultural facility in Burbank and the only type of museum of its kind in the world. Not a sports or who's who, rather, the museum is an educational facility teaching young people about diverse cultures and how artistry, music and more played a unique and influential role in martial arts history. The Los Angeles County and the state of California have been the focal point of milestones in Asian and American history. Some of the greatest achievements in the martial arts have taken place throughout the county. It was the first place in which Kung Fu was opened to non-Chinese, it was the introduction of Bruce Lee, it was through Burbank and other studios that began to include martial arts action in all their films. It was the place in which thousands of Chinese, Japanese and Filipinos began their first steps on American soil. The West Coast also introduced Chinatowns and Japan Towns, it was where acupuncture was introduced and two of America's greatest kickboxing champions in the world, Los Angeles born Benny “the Jet” Urquidez and Graciella Casillas made history. Currently housed in a 3,000 square foot facility, the museum is hoping to acquire a location in which a 150-seat theater can be installed in order to have cultural performances, movie premieres, etc. They have plans to create a museum store plus a resource library and exhibit area. Once a larger facility is solidified, they will be able to hire additional personnel to provide tours and more. “The museum is a win-win for any community. We bring in thousands of people every year who have come from every country in the world. We are the only museum of its kind in the world and people appreciate how we display each country and how the martial arts played a significant role in their culture, tradition and way of life. Imagine how much more we could do if we had a larger location,” says Matsuda. The museum is a very uniquely designed experience. All the displays were created by artists from the Walt Disney Company, Dreamworks, The Simpsons and Halloween designers who have donated their time and materials in order to make the museum a reality and fun place for the kids to enjoy. Referring to this campaign as “Impact Our Future,” this fund-raising effort has been officially launched this week. Since all the items in the museum are designed to be portable, it will only take a few months to relocate and re-open their doors to the public. To make a donation and contribution to the Martial Arts History Museum, please visit their website at www.Mamuseum.com or visit their facility at 2319 W. Magnolia Blvd., Burbank, CA 91506 or call (818) 478-1722.